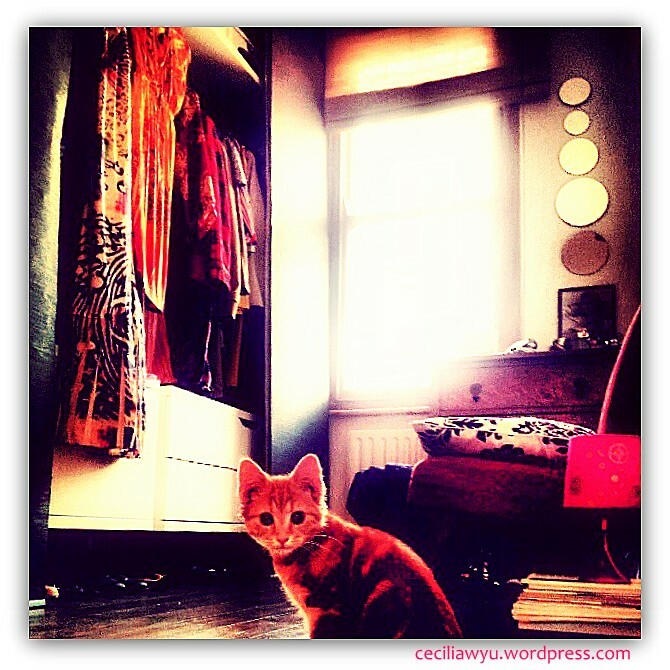 What is it about Walk-in Wardrobes? 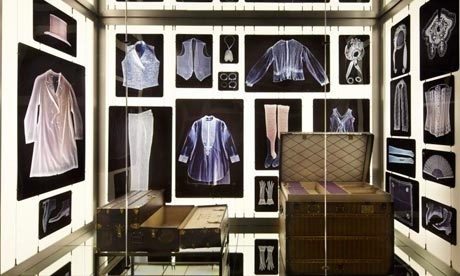 It really entertained me that so many are going on about a Walk-in wardrobe. I don’t know what it symbolises to the world but I have my own theories about it. Starting with, this is the one I’ve got at the moment, it is fairly simple, in an old house converted from what I suppose would be the old nursery room in Edwardian times or something.. I love the stainglass windows that goes all the way up the high ceiling. But I haven’t had time to decide on the wall decoration..I know its been over a year, but I ‘ve been very very busy. 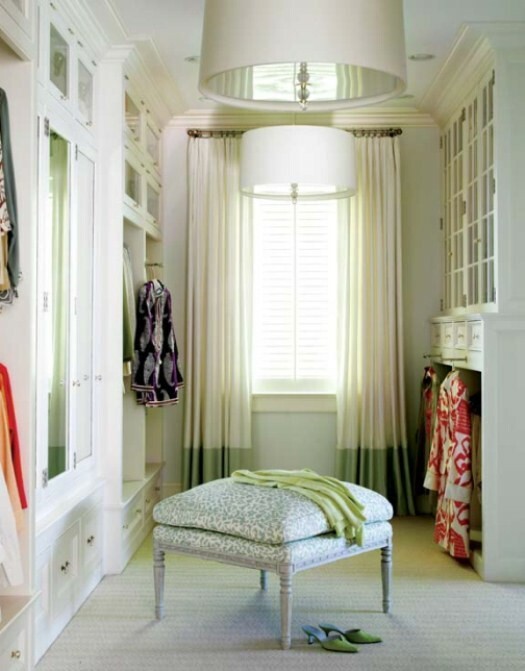 However looking at other designs for the walk-in wardrobe is making me re-think the “theme”….Lets see…maybe just change the Chair to a Sofa, MORE mirrors and add a Kitten? hahaha…..jus t kidding, you can’t see it here but I’ve put in more Art on the right wall. 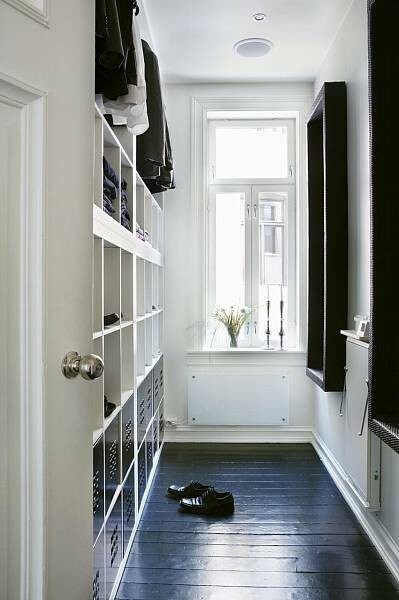 There is the White Scandinavian version…Elegant walk-in wardrobe. The same shelves as the one I’ve got now. 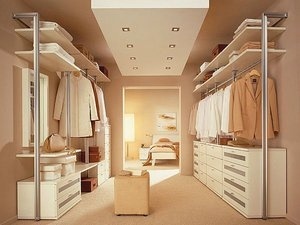 I like this one..it is simple & uncomplicated…and I can easily convert the one I have into this colour scheme…maybe.. I like the concept of the pictures but in the usual guardian style..it is far too “bippity-bourgeois boredom”…..But do-erable if you can infuse REAL ART into it….I find it a little gloomy & bloodless….just like the Guardian newspaper that it was featured in..yes I know all that reference to antique lace but I’m not really into Pilgrims and Puritans…Protestant trendiness grates on my Catholic upbringing…oh no, I’m being a walk-in wardrobe Sectarian ! Hahaha. Similarly, while this was seen in some of the best boutiques in L.A, I find it too “bling”. A bit Desperate Housewife of Orange County….I think it needs a color scheme change….and less french derivative touches….otherwise lovely spatial planning! Kudos for that! This Prada, Armani…all the way down to Gap Glass Minimalism is very slick, but again, it is too cold for my taste. However I can see why if you have a very busy life, this would be ideal as long as there is someone to tidy it up for you! 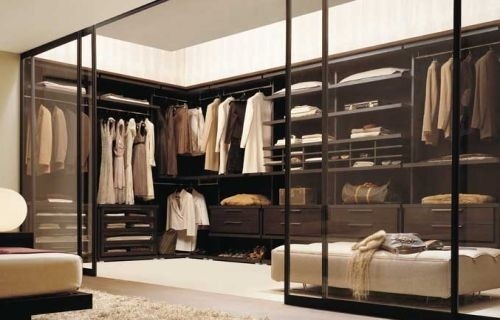 A glass walk-in wardrobe is my idea of a nightmare because it will never be THIS Tidy for me! 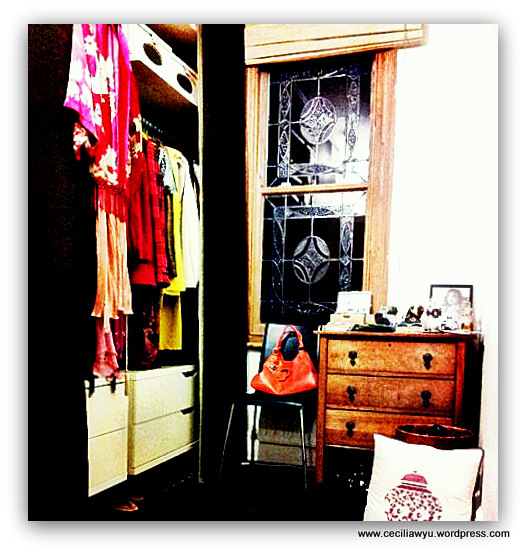 I think I finally worked out why walk-in wardrobe feels so precious…it reminds all of us of a time in our lives when we can just relax, spend hours getting dressed, do those little grooming habits that we all enjoy doing alone….its a momentary escape into our own little world….a bit of solitude just before you leave the house into a mad, mad world. 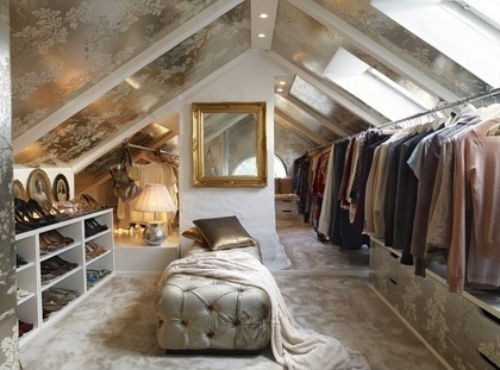 I love the sloping ceiling walkin wardrobe room. My other message was gone. very nice pic, collection and look. i love these. You would have to hire a service monkey to keep it tidy!!! This entry was posted on June 3, 2012 by ceciliawyu in Beautiful un-PC Fun things!, Cool Hunting & Couture and tagged architecture, ceciliawyu.wordpress.com, design, Fashion, home decoration, style, walk-in wardrobes.